Got art? We’ve got money! The Bridgewater Cultural Council is now accepting grant applications from those interested in applying for grant monies to support their projects in the arts, humanities, and sciences. Completed applications must be postmarked no later than October 15, 2012 and mailed to: Bridgewater Cultural Council, PO Box #832, Bridgewater, MA 02324. Additional information is available on the web site at http://www.mass-culture.org/Bridgewater where you can review guidelines and instructions for applying, download the necessary forms, and obtain other helpful information. You may also view last year’s grant awards on the website. 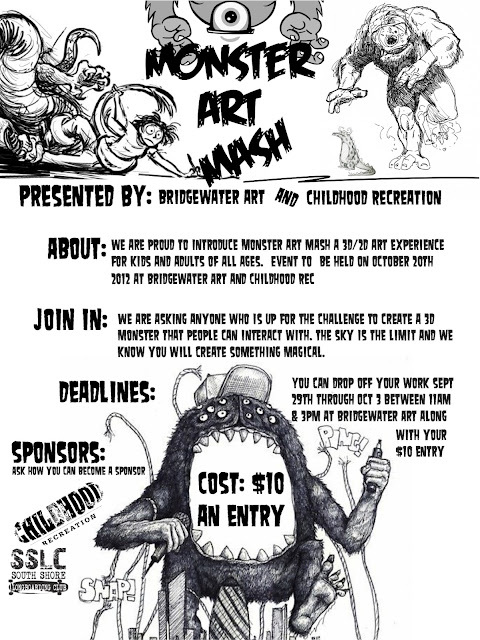 If you have questions, please email the Bridgewater Cultural Council secretary at oconnell.marybcc@gmail.com. 2013 Boston Masspass Books Available! Around the Common is pleased to announce that the 2013 Boston Masspass books are now available. The discount coupon book sells for $25 and the proceeds of the sales of all sales through Around the Common will benefit the Ace Bailey Children's Foundation. If you are interested in a 2013 Boston Masspass book, please email aroundthecommon@gmail.com and we can deliver a book to you! Bridgewater’s One Book One Community Committee will sponsor a kick-off event at the Bridgewater Public Library on Saturday, October 13th. The public is invited to attend “A Taste of Lemon” from 11a.m. 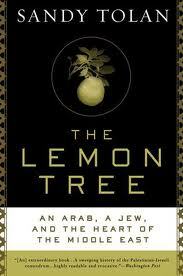 to 1 p.m., highlighting this year’s OBOC choice: “The Lemon Tree: An Arab, A Jew, and the Heart of the Middle East”, by Sandy Tolan. The event will feature a traditional Middle Eastern dancer --AMAR, home-made lemon soup and lemon treats, a brief introduction to “The Lemon Tree”, and door prizes. One Book One Community is a partnership of Bridgewater State University, Bridgewater-Raynham Regional School District, the Bridgewater Public Library, the Bridgewater Senior Center, Bridgewater Business Association, the Raynham Senior Center, and Scholar’s Bookstore. 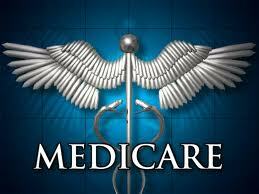 WHAT’S NEW FOR MEDICARE 2013 ? HOW WILL THESE CHANGES AFFECT YOU AS A MEDICARE BEBFICIARY? The presentation is free, but reservations are requested. The Bridgewater-Raynham Special Education Parents Advisory Council (BR-SEPAC) will be holding a meeting for the 2012-2013 school year on Tuesday October 16th at 6:30 pm. The meeting will consist of a quick updating, followed by a lecture and Q&A starting at 7 pm. Mr. David Dilley, the districts new Behavioral and Educational Counsultant will speak. The meeting will be held at the Bridgewater-Raynham High School Lecture Hall (second floor) located at 415 Center Street, Bridgewater, MA. The BR-SEPAC is made up of parents that represent about 850 children with special needs within the Bridgewater-Raynham School district. The BR-SEPAC works collaboratively with the Bridgewater-Raynham Public Schools and Bridgewater-Raynham School Committee to provide support and information for parents, school personnel, and the community about disabilities and the special education process. The Bridgewater Public Library is sponsoring a workshop for all caring adults who read to children, from birth to 5 years. Help Me Get Ready to Read is an interactive workshop which provides: Research on the impact reading aloud has on school success; criteria for choosing good children’s books; reading strategies to introduce early literacy concepts and skills; positive parenting strategies to foster your child’s self-esteem; suggestions of good books to read aloud to your little ones; follow-up fun activities to enrich the read-aloud experience. The workshop will be facilitated by Susan Mark and Barbara Kasok, and will be held on Wednesday, October 3rd, from 6:30-8:00p.m. Susan Marx taught in elementary schools in Massachusetts, New York, and California. As a parent educator, she has facilitated hundreds of positive parenting workshops at homeless shelters, libraries, preschools, daycare centers, early childhood conferences and elementary schools. She has worked as a writer and editor of reading and language arts materials for major educational publishers. Marx has three adult children and eight grandchildren. Barbara Kasok taught in elementary schools in Massachusetts and Connecticut. As a reading specialist, she taught in federally funded Title I (K-4) reading programs in Massachusetts. She worked as a project manager at Silver Burdett Ginn, a division of Simon and Schuster, and developed and edited reading and language arts materials for Houghton Mifflin, Harcourt, and Curriculum Associates. Kasok has three adult children and two grandchildren. Parents, grandparents, early childhood professionals, literacy volunteers, librarians, and preschool staff are invited to this fun and informative workshop. 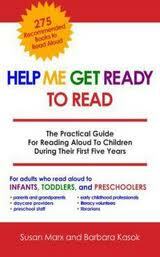 Help Me Get Ready to Read is sponsored by the Shea Children’s Endowment and Charitable Trust. For more information about the program, call Mrs. Davis in the Children’s Room at 508-697-3331. The Children’s Room at the Bridgewater Public Library will offer “Homework Helpers”, a free homework assistance program for students in grades 2-8. Help will be available from 2:30-4:30 p.m. on the following Wednesdays in October: October 3, October 10, and October 17. 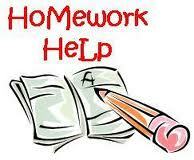 Drop in and receive help from a local tutor and former teacher. On Sunday, October 28, 2012, from 5:00 PM to 10:30 PM on Bridgewater cable BTV9, the Bridgewater Academy Lions Club will conduct their 20th Annual TV Auction to benefit Massachusetts Lions Eye Research Fund, Inc. This tax-exempt non-profit fund provides research grants to determine the causes of eye diseases and to eventually find the cures. MLERFI awards grants for new eye research projects each year. For this auction, a multiple telephone hookup provided by Comcast will allow bidders to call in their bids by phone as items are presented and described on TV in real time. The Academy Lions invite local businesses and organizations to participate in this live TV event by donating goods and services, giftware, home improvement supplies, jewelry, toys, antiques and collectibles, sporting goods, restaurant gift certificates or other popular items for home or office. (Preferred items will have a minimum $25.00 retail value.) New bid boards will be presented each hour. The club also has some space available for higher ticket items on their “Specials” board, which is up for bids throughout the program. In prior years this board has featured autographed sports memorabilia, theater tickets, dance lessons, a year of daily coffee and pastry, airport transport, limousine rides, construction materials, weekend getaways, and more. In exchange for their donations, businesses get publicity on TV and a written acknowledgment for tax purposes, while Mass. Lions Eye Research Fund receives much-needed funds in the full amount of the highest bid collected for each item. Early donations also are listed in an advance mailing to prospective bidders. 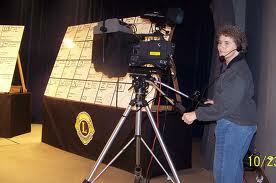 Over the past 19 years, this annual auction televised by BTV has raised more than $189,000.00 in total for eye research. Bridgewater Academy Lions hope to add at least another $11,000.00 for this 20th Anniversary Auction, but they need the community’s help to do it. For more information or to arrange for drop-off or pickup of donations, send an email to Auction@BridgewaterAcademyLions.org, call (508) 697-3765, or contact any Bridgewater Academy Lion by October 10, 2012. The Friends of the Bridgewater Public Library will sponsor a Book Sale on Saturday, September 29th in the Flora T. Little Meeting Room on the lower level. 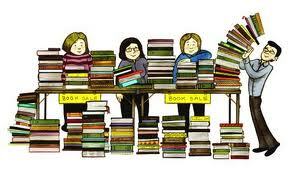 This is the 1st booksale after a summer of new donations. The Giving Tree Consignment's Sale This Weekend! Come Get Your Zumba On!